It’s a bit awkward, sitting down with Colin Morgan. His company, Quinn Insurance, is vilified by the UK market, but he seems a nice enough chap. Youngish, fair-haired, smartly dressed, possibly just a little on edge, but well briefed. This can hardly be the demon that comes to mind when rivals and brokers alike get started on the evils of Quinn. Morgan has agreed to talk to Insurance Times against the backdrop of a rather fraught relationship with the media. Quinn has been controversial since it moved into the UK market in 2003 because of its low prices and aggressive approach to claims settlement, but last year matters escalated to new heights. There was the small affair of the company’s owner, Ireland’s richest man Sean Quinn, being fined €200,000 by the Irish financial regulator and standing down from the insurer’s board in October last year, following a disastrous investment in Anglo-Irish Bank that lost the Quinn family around €1bn. Part of the investment was financed by a loan from Quinn Insurance, which was itself fined €3.25m by the regulator. Before the dust had had a chance to settle, a whispering campaign began: Quinn Insurance was on the verge of going into administration. It never happened, and the firm has consistently denied any basis to the rumour. Nevertheless, it was quite a year for Quinn – and for chief executive Morgan. He points out that the loan never left Quinn Insurance in any financial danger, but insists the firm has been reorganised in such a way that it could never happen again. Quinn Insurance, which began life in the early ’90s as an offshoot of Sean Quinn’s successful construction business, has matured into a grown-up company in its own right. Quinn stood down from the board last year, to be replaced by a non-executive chairman, and a number of other non-executive directors were brought onto the board. Meanwhile, all cross-directorships between Quinn Group and Quinn Insurance were ended. It’s hardly the Glass-Steagall Act in terms of regulatory separation, but you get the feeling that for Quinn it was a big deal. And how much involvement does the man himself now have in the insurance business? Morgan says the rumour – that Quinn was to appear in court with an announcement of bankruptcy – had no basis in reality, and that it had died out by the following Monday morning. Indeed, the bush telegraph did go quiet, but no one has ever come up with a satisfactory explanation for what happened. So now we come down to brass tacks. Even before this, Quinn Insurance had a controversial reputation. 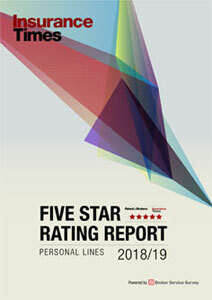 Many rivals and brokers have been quick to criticise its claims handling and pricing. Claims first. The insurer is well known for sending its claims handlers to accident victims and encouraging them to settle early. Morgan says: “Traditionally, the insurance industry has had a process around claims and they tend to take a long period to get sorted. Our approach is to try and sort claims sooner rather than later. This takes us to the second point: price. Critics say that Quinn’s low prices are not sustainable, and some suggest they are even distorting the market. But Morgan insists that it is the insurer’s proactive approach to claims that allows it to undercut its rivals and still turn a profit. “We price to make a profit, because we have to,” Morgan says. He outlines the niche nature of the business – such as the construction market and younger drivers – and the low-cost model. “We’re focusing on particular niches and, because of cost advantages that we have, we feel we’re able to be reasonably competitive there.” He cites the insurer’s retention rates – around 55%-65% for motor business picked up on aggregators, and upwards of 75% for commercial business – as evidence of the strategy’s sustainability. Throughout the interview, Morgan is pleasant and plausible. By his own admission, Quinn Insurance has decided it needs to talk more to the press and the market at large following the events of last year. He never quite relaxes, however; you never forget that this is a man under fire. He says it doesn’t bother him – “I think it’s natural when there’s a new competitor doing something different” – but it can’t be nice to know you have more enemies than friends. The trouble is, Quinn doesn’t do itself any favours. It took itself off Moody’s credit rating last year, despite the official guidelines from organisations such as Biba advising brokers to place business only with rated insurers. Morgan says the insurer decided to withdraw its rating – BBB at the time – because it knew that it was not going to be upgraded. “We didn’t believe we were going to get an A rating because of what was going on in the world at the time. 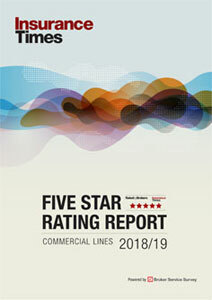 We weighed up the costs and benefits of having the rating, and we’d been in the market before without it, so we took the decision at the time to withdraw.” Would they only return to a rating if they could be sure of an A? “Yes, that’s the way we approach it,” he confirms. Morgan says the insurer plans to press ahead with growth in Ireland and the UK. It will continue to build market share in its core lines, and look to grow in the UK in other specialist areas, including professional indemnity and leisure, where it is already a big player in Ireland.